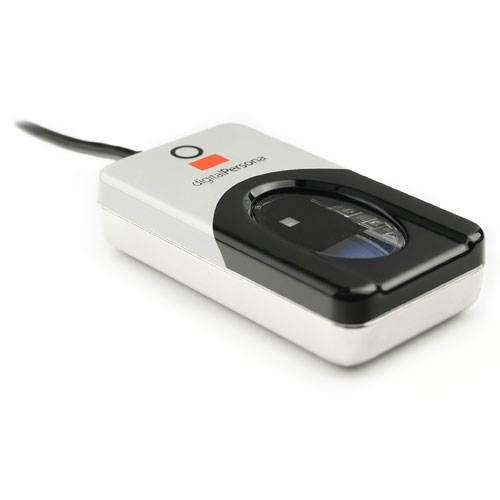 The USB 4500Reader is an elegant, powerful fingerprint identity machine. With an Executive-class look and feel, the USB 4500Reader is perfect for power users and Shared environments. Its design is sleek and compact to conserve valuable desk space but it stays right where you put it because of its nice heft and special undercoating. The USB 4500 radiates an attractive blue glow that provides an unobtrusive presence in low light environments and also ensures that it does not compete with alarm colors in settings such as healthcare. To use, you simply place your finger on the glowing window, and the reader quickly and automatically scans your fingerprint. For superior user feedback, a red “flash” indicates that a fingerprint image has been captured. On-board electronics calibrate the reader and encrypt the scanned data before sending it over the USB interface. 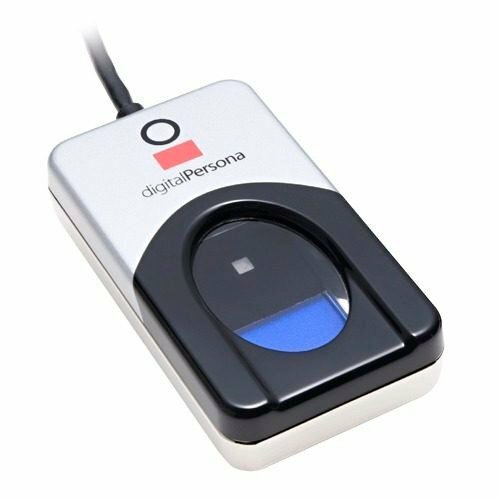 Digital Persona readers utilize optical fingerprint scanning technology to achieve excellent image quality, a large capture area and superior reliability. 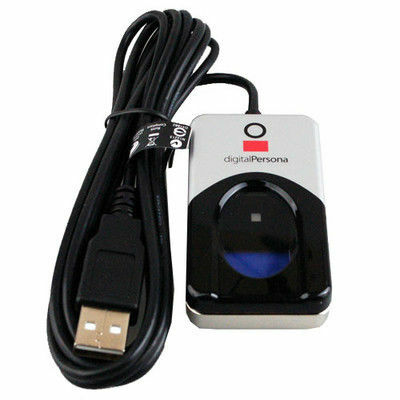 The USB 4500 Reader and Digital Persona® Fingerprint Recognition Engine have an unmatched ability to authenticate even the most difficult fingerprints accurately and rapidly regardless of placement angle. •	Drivers support	: Windows 98, Me, NT 4.0, 2000, XP, 7, 8.